All customers should have access to wholesale electric energy at all times and from all locations. 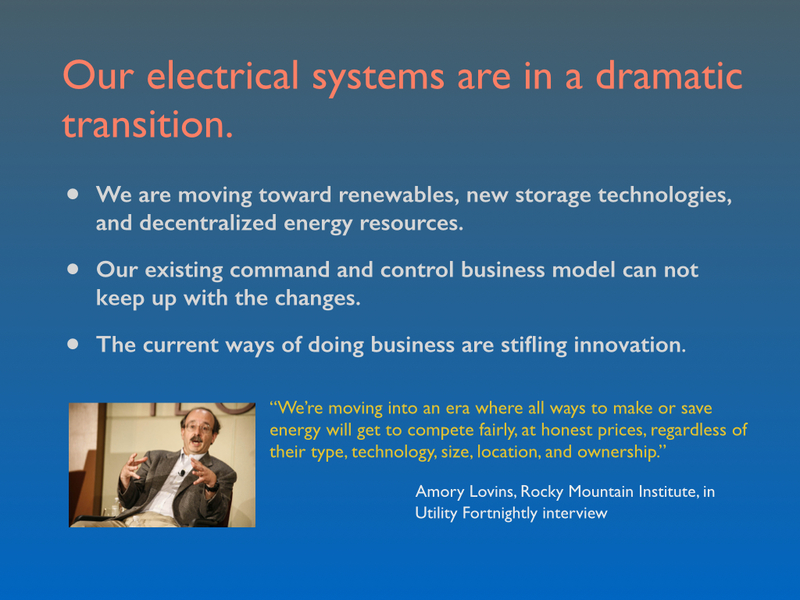 In a recent Utility Fortnightly interview Amory Lovins of the Rocky Mountain Institute said, “We are moving into an era where all ways to make or save energy will get to compete fairly, at honest prices, regardless of their type, technology, size, location, and ownership.” The Transactive Energy (TE) business model can deliver this future. Thanks to Moore’s Law and the internet, the future is now. All customers can have access to wholesale electric energy at all times and from all locations. 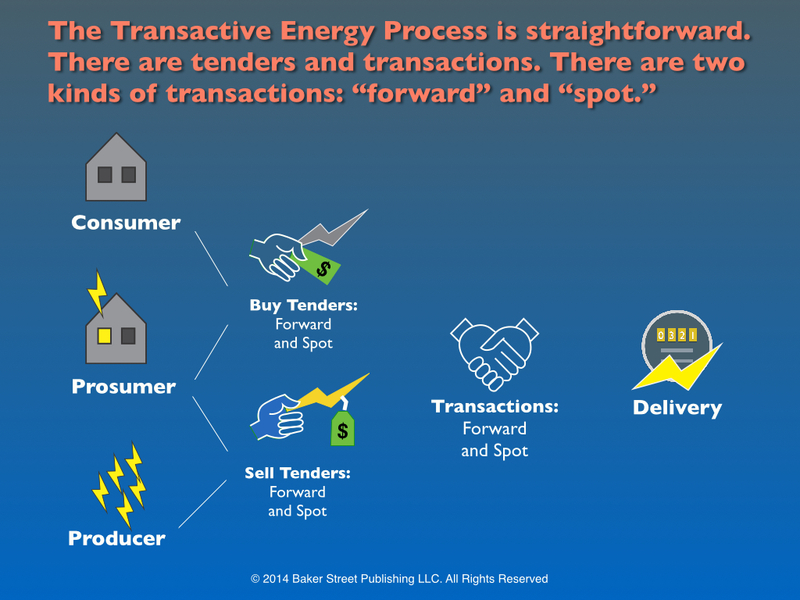 What is the Transactive Energy (TE) business model? 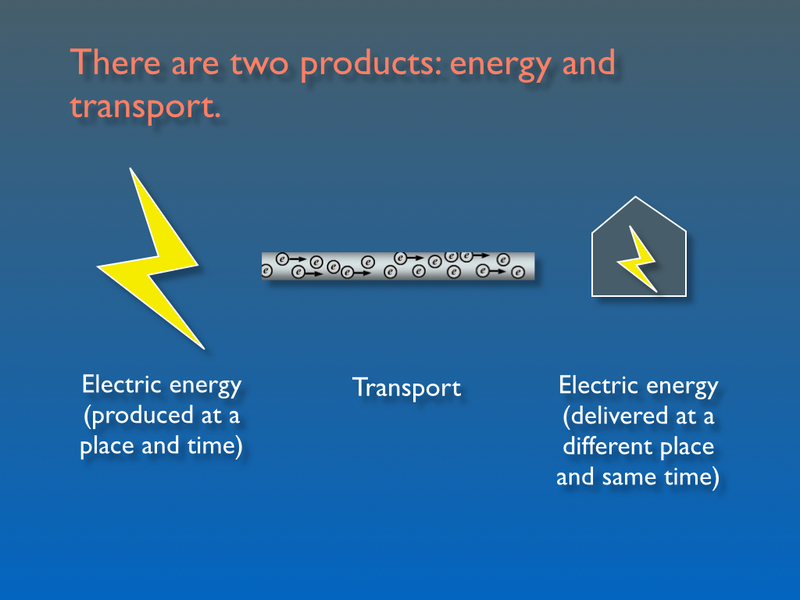 1) There are two products, energy and transport. In the TE model ALL ustomers can contract for energy and transport separately. They can shop for electric energy from all sources: central generation, decentralized generation, renewables, or their neighbor’s PV panels. Electric energy is the same commodity no matter what the time and location. Transport is contracted separately by all customers. Electricity can follow the same model as book publishing. You buy a book from Amazon or Company X and you buy transportation from FedEx or UPS. Like internet-based publishing, the TE business model recognizes that energy and transport are distinct products. 2) Forward transactions are used to coordinate investment decisions and to manage risk. This is not a new idea. Today the people who invest in large generation facilities use forward transactions,e.g., long term contracts, to guide their investments and to reduce uncertainty in future revenues. Residential solar companies are beginning to offer forward transactions (leases) to homeowners. There is no reason why everyone can not have access to forward transactions for electric energy and transport. For residential customers these would take the form of subscriptions. 3) Spot transactions are used to coordinate operating decisions. Wholesale markets use spot markets to coordinate power plant operation today. The TE business model gives all customers (residential, commercial, and industrial) access to the same spot transactions. This moves the whole electricity ecosystem toward efficiency, transparency, and fairness. 4) All parties act autonomously. It is not necessary for utilities or Independent System Operators to control customer demand in the TE business model. Customers have access to minute by minute changes in prices. Customers will move their use away from high cost time periods and toward low cost time periods because it is in their interest to do so. Demand will move toward energy provided by low cost renewables like wind and solar. If customers have storage capability like batteries they will operate their storage in ways that benefit the ecosystem. Complications like net metering are a non issue in the TE model. A homeowner with PV panels and a battery will operate just like any other decentralized generator or microgrid. Today, homeowners pay retail prices for their energy but they are expected to sell energy back to the utility at wholesale prices. It does not make sense. 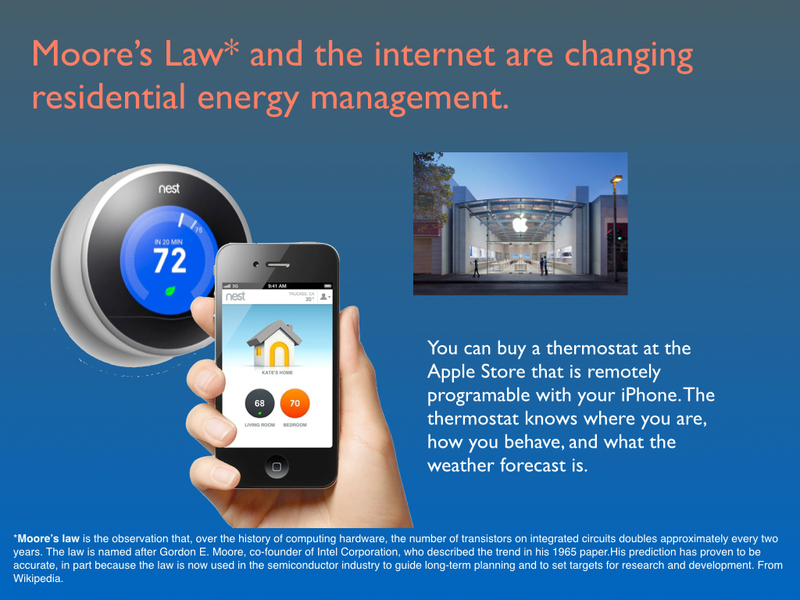 In a TE system home owners would buy energy wholesale and sell energy for whatever they can get in a fair market. We have entered a new regime in energy planning and operation. Residential customers now have access to as much computing and communication power as the most sophisticated utility operators. Customers can use this power to manage their energy use or production. All we need to make it happen are Transaction Platforms where purchases and sales are arranged. We can use the new technology to give all customers access to wholesale electric energy, at all times and from all locations. What’s the next step? We need demonstration projects to help us up the learning curve. In California, this will probably require legislation to set statewide goals for implementation. An organization will also be needed to monitor pilot projects and distribute lessons learned. 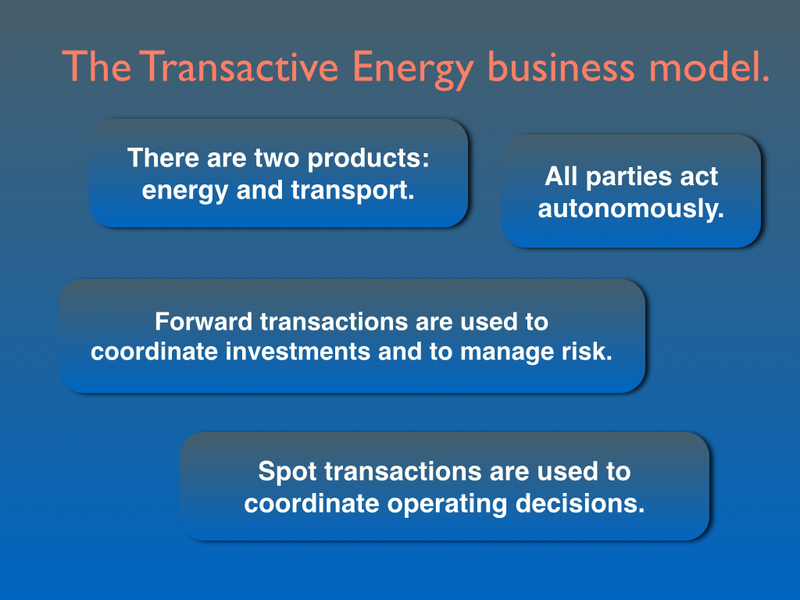 For more information about the Transactive Energy business model see, Transactive Energy: A Sustainable Business and Regulatory Model for Electricity. Go to LinkedIn to follow activities of the Transactive Energy Association. If you would like to receive more posts from Baker Street about the Transactive Energy business model by e-mail, just submit your address here.